Ramen ala leftovers. 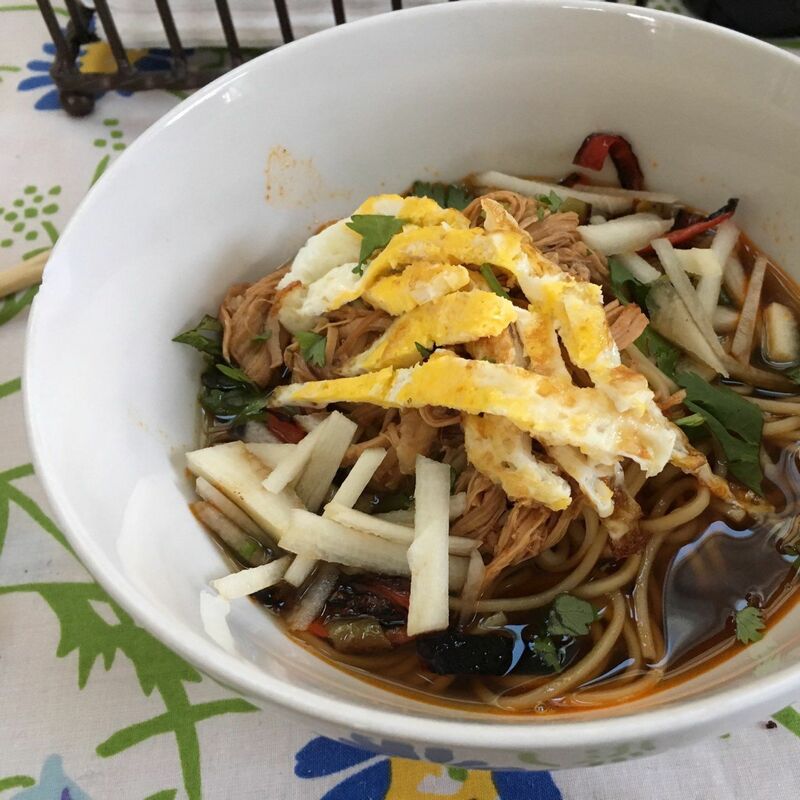 Ramen, chicken stock, BBQ pulled pork, diced fried egg, cilantro, carrots. It’s a fusion thing.